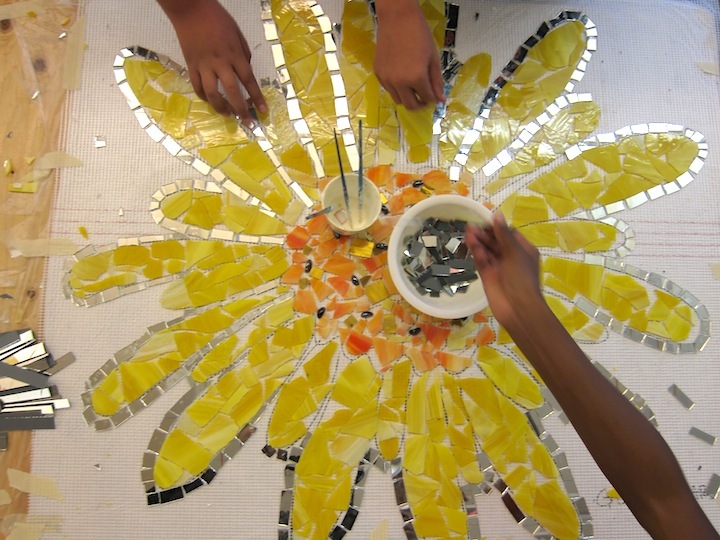 Rachel Rodi has designed and facilitated over 20 large group mosaic installations since 2004, and has led hundreds of participants of all ages and ethnicities who assisted in making a mosaic from design to completion. Through these projects participants help positively transform their environment, creating lasting, beautiful change, learn mosaic techniques, and gain deeper pride in their abilities and organization or neighborhood. 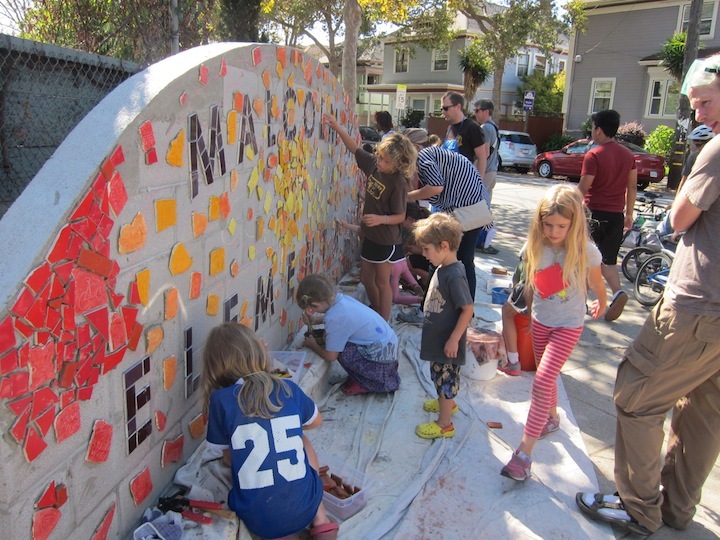 Jefferson Elementary School, Berkeley, CA. 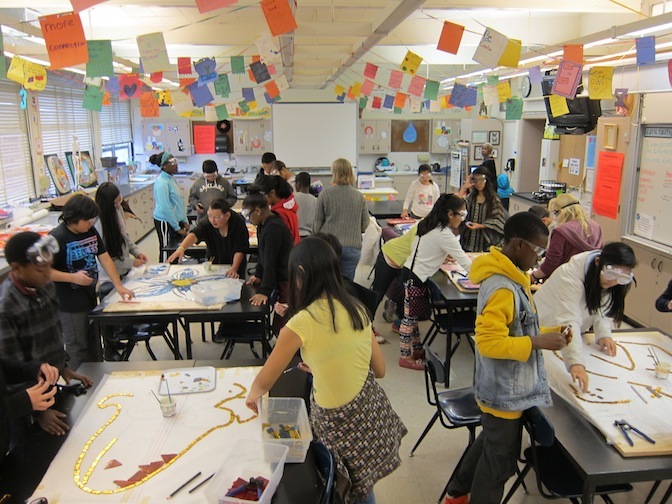 Every student in the school - over 400 - created a tile based on their studies that went into the mosaic. 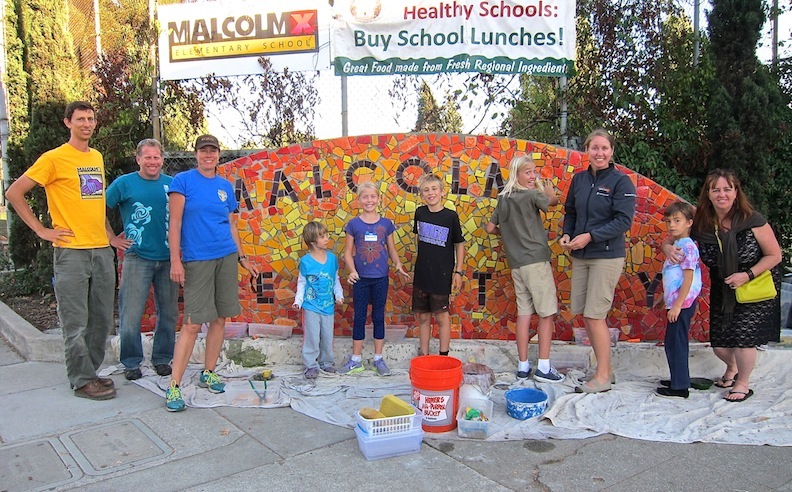 Jefferson Elementary School, Berkeley, CA. 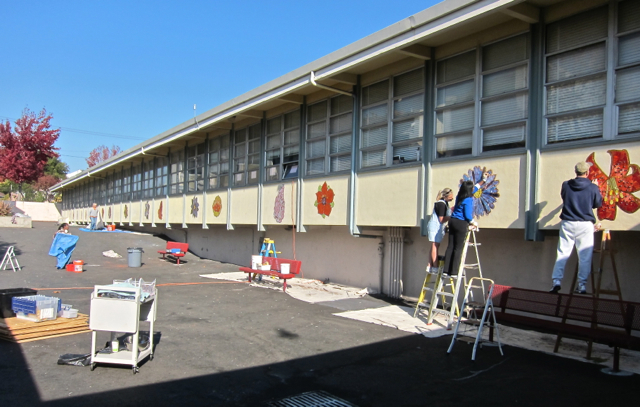 Volunteers help make the mosaic with the student tiles. 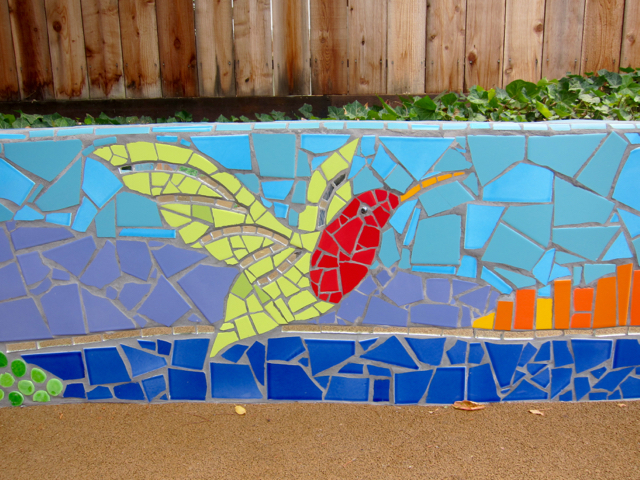 Rachel Rodi’s community mosaics include projects with UCSF Medical Center (multiple projects), Trust for Public Land (multiple projects), San Francisco Parks Alliance (multiple projects), Friends of McLaren Park, County of Marin, Berkeley Unified School District, Youth Spirit Artworks, Peralta Hacienda Historical Park, Vallejo Community Arts Foundation, Life Learning Academy, The Crucible, Edna Brewer Middle School (multiple projects), Malcolm X Elementary, Seven Hills School, Martin Luther King Jr. Academic Middle School, Ulloa Elementary School (multiple projects), and Laurel Elementary School.